It all started with a really long and sweaty walk under the blazing Bulgarian sun with my backpack on. Spending a large portion of my life backpacking on a shoestring budget has instilled certain ‘money-saving’ patterns of behavior in my brain. One of these patterns is never taking a taxi unless I feel like I’m in danger of being robbed or there isn’t public transportation. Now this has probably saved me a bit of money, but I will admit sometimes I take this too far. I have a problem with falling asleep on buses and when I’m traveling solo this can completely change my plans. Trying to head to a hostel in a city called Sunny Beach, Bulgaria I fell asleep on a bus for an unknown amount of time. When I awoke I was a bit panicked that I had missed my stop and no one on the bus spoke a word of English so I decided to just get off the bus and take my chances. The sun was too hot for a shirt so I opted to leak copious amounts of back sweat into my backpack by walking what I found to be over an hour along a highway to finally reach my destination. I checked into a room of four people, which to my good fortune was empty at the time of my arrival so I opted to take a wonderful nap with a fan blasting over my sunburned body. I awoke to a whirlwind of French as my three roommates had returned from the beach. While I should be able to speak more French considering I lived in Belgium, I was happy when the young Parisians were able to chat with me in English. The sun had began to set and I didn’t know a single person in Bulgaria so I opted to join the Frenchman to a concert at a venue on the beach called ‘Viking Club’ that evening. 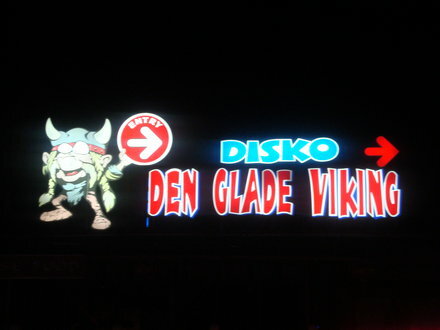 The show was going to be a Swedish DJ called Basshunter and while I found the name sounded a bit familiar I had no idea of the type of music I was about to experience. After a few beers we walked to a pretty nice club and sat down at the bar awaiting the show. The venue was packed and the number of strange sounding languages was confusing my brain so much I almost forgot how to speak English. 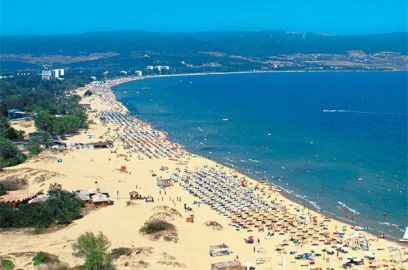 Eventually I came to learn that Sunny Beach, Bulgaria was a huge hotspot for Russians on vacation and also some of Basshunter’s most dedicated fans. Now from a trip to the Ukraine I learned two key phrases in Russian that I found to be somewhat useful during the concert. First, I knew how to say ‘Do you speak English?’ Second, I could follow with ‘Would you like to dance?’ Not really doing too well at finding a Russian dance partner I sat down at the bar for a bit more liquid courage. Next to me sat a man who quite literally had a line of drop-dead gorgeous women waiting to just say one word to him. Bewildered and impressed with this fellow I waited until he finished kissing girl after girl and asked him ‘Dude, what’s your secret?’ In a northern European accent, but with excellent English he replied ‘Well, I’m Basshunter, I’m headlining the concert here tonight.’ He was amazed that an American had made it all the way to Bulgaria to see him perform and in between kisses from Russian bombshells he persisted to drink an absolutely outrageous amount of alcohol. Eventually the show began and the whole thing was absolutely hilarious. 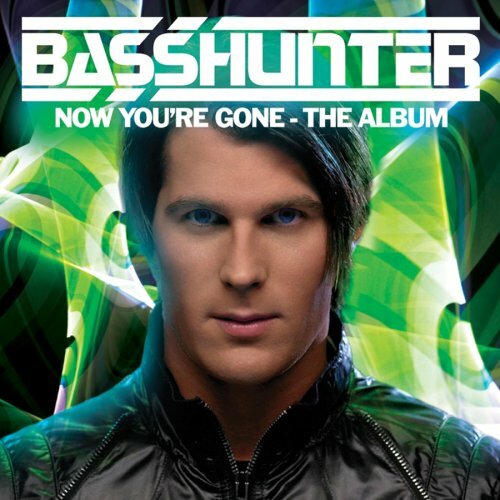 The music is of the pop, electro-house genre, but Basshunter was only able to sing a few songs as he was utterly obliterated. For the majority of the concert he just jumped up and down sang a couple words from the chorus and partied. I’m not sure if it’s because I look like I could be Swedish or she saw me speaking with Basshunter, but my one line in Russian worked eventually and I found a pretty girl from Moscow to dance with. The night was a blast and I made plans to see the blond princess the following day on the beach. Not having a phone and not exactly sure of the meeting place I unfortunately never saw the Russian girl again. My French buddies left the next morning and I found myself alone and without plans in Bulgaria once again. Here’s a live performance of Basshunter if you’re curious….